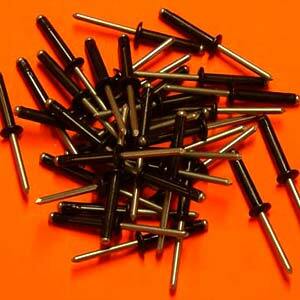 These Black Aluminum Pop rivets work in a standard pop-rivet gun. 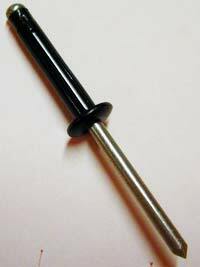 These are perfect for attaching Padeyes and other hardware to plastic kayaks or any surface where you are unable to reach the back side. 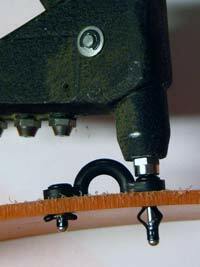 Each rivet is split into three sections which bend when the rivet is set, automatically adjusting to the overall thickness - up to about 1/2 inch. Requires 3/16" dia hole.